Nissan is a multinational auto giant based in Japan, ready to launch the facelift of Nissan Sunny. Nissan cars has added some features in the upcoming version and can say that this model is the makeover of previous version. 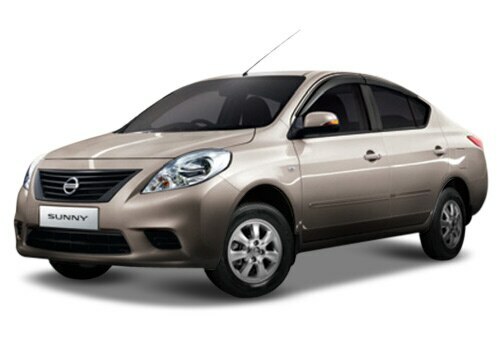 Nissan Sunny price is very reasonable and it is available at Rs. 6.07 lakh to 9.68 lakh (Ex showroom New Delhi). This is offered with both petrol and diesel engine options and is available with various variants. The 1.5-litre engine of the vehicle is very powerful and is equipped with four cylinders because of the powerful engine the mileage and the acceleration of the sedan is quite impressive with the top speed of 175 kmph. But at the same time passengers sitting inside feels no vibration even when it is drive on the fuel speed. The road grip of the vehicle is quite good. As far as Nissan Sunny features are concerned it has various safety and comfort features. The list of safety features include ABS (anti lock braking system) along with EBD (electronic brake force distribution) and brake assist, two airbags for the extra safety of the passengers during accidents, front disc brake, bright halogen head lights which enhance the visibility of the driver, fog lamps in the front, impact absorbing body, seat belts for all passengers including driver, engine immobilizer, key less entry, central locking system, front and side impact beams child safety locks for adding safety, and a lot of features which is available in this segment currently. Apart from these the the sedan is equipped with a lot of comfort features such as air conditioner with climate control and air quality control system, an advanced audio unit with CD and MP3 player and four speakers which is soothing and played good music and entertain the passengers while touring. In addition the sedan has lot of striking exterior features which makes the car really impressive. The list includes an enlarged sculptured halogen head lamps, radiator grille with chrome treatment with large company's emblem in the center, wide air dam which helps in cooling the powerful engine quickly, mirror and door handles are body colored, and lots of other features. On the other hand it is equipped with a lot of interior aspects which makes the car comfortable and convenience. These features are, comfortable seating arrangement with ample leg room and head room in the cabin and storages boxes which help the occupants in keeping the necessary things easily and Nissan Sunny automatic will be fuel efficient. Nissan Sunny pictures are reveal on the various sites and in those pictures the car looks quite wonderful. The sedan is also available in various color choice to chose the customers from.